The Best Marine Cooler Brand in the Industry Just Got Better. Igloo Marine coolers are preferred by fishermen and boating enthusiasts everywhere. 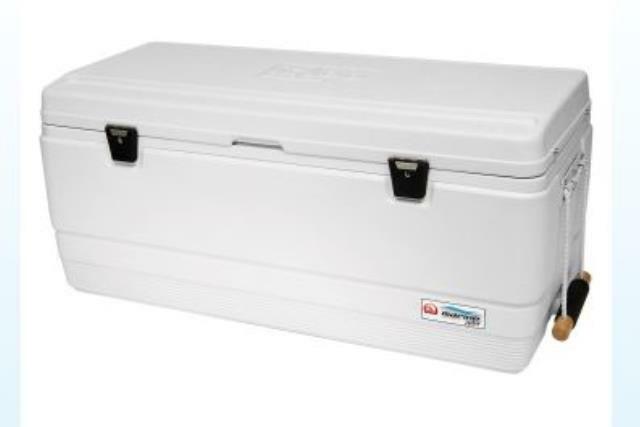 This ice chest is loaded with features designed for marine functionality and built to withstand wet, sunny and salty conditions. Perfect boat cooler. * Please call us with any questions about our 150 ice chest in Hammond LA.